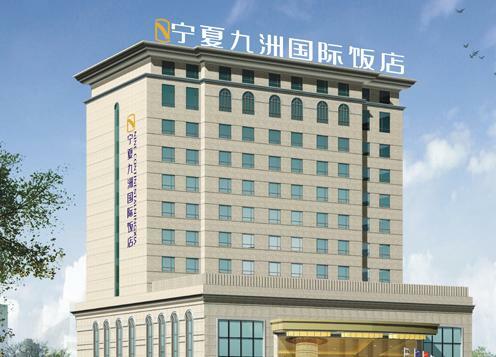 The Nine Continental Hotel Ningxia is a five-star hotel adjacent to the Government building and close to Zhongshan park. Opened in 2008, the 15-storey hotel boasts a total of 600 rooms including twin rooms, queen rooms and multi-level suites. For business travelers, the hotel has a business center and meeting rooms, each equipped with a multi-media digital projector, a sound system and other modern conference facilities. The largest meeting room can hold up to 260 people. In addition, the hotel also offers a range of services including airport pick-up, airport shuttle buses, currency exchange and postal services. There is a Chinese restaurant and a Western restaurant, serving everything from Chinese, Western, Japanese and Korean to BBQ. Guests looking for a little recreation can enjoy the hotel's karaoke, spa, swimming, tennis and chess/cards.